Is there a way to do these calculations with open-source software such as GMT, QGIS and GRASS? I will try to address your question with GRASS. Your problem has a first task that is a bit challenging already, which is to get the situation before the event you want to quantify. I think the best option is to produce a raster of the original situation. 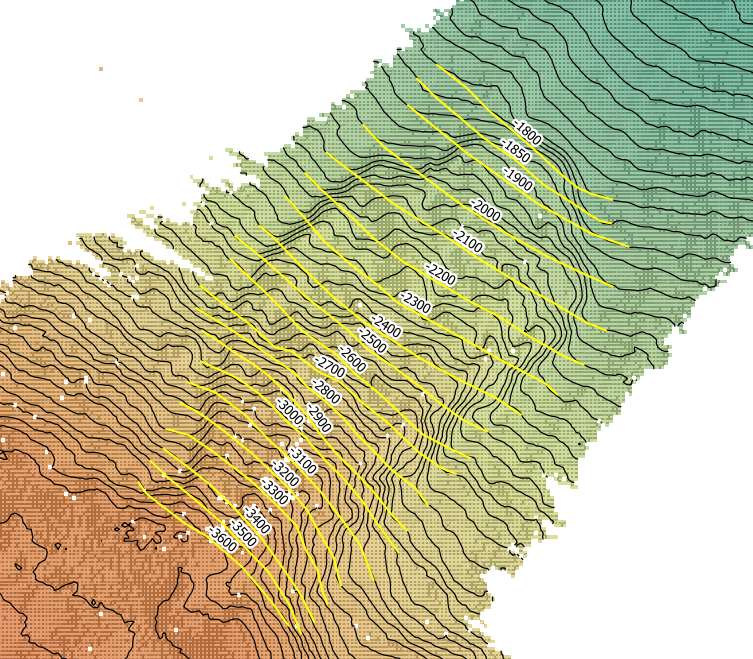 To produce it, I would use some countour lines to draw "by hand" the terrain as it was before the event, then with the help of r.surf.contour fill a terrain model. Once you have the two rasters, before and after, you ca produce a raster of the difference with r.mapcalc (rasterDiff= rasterBefore - rasterAfter). I guess you will need appropiate masks to box your areas of interest. 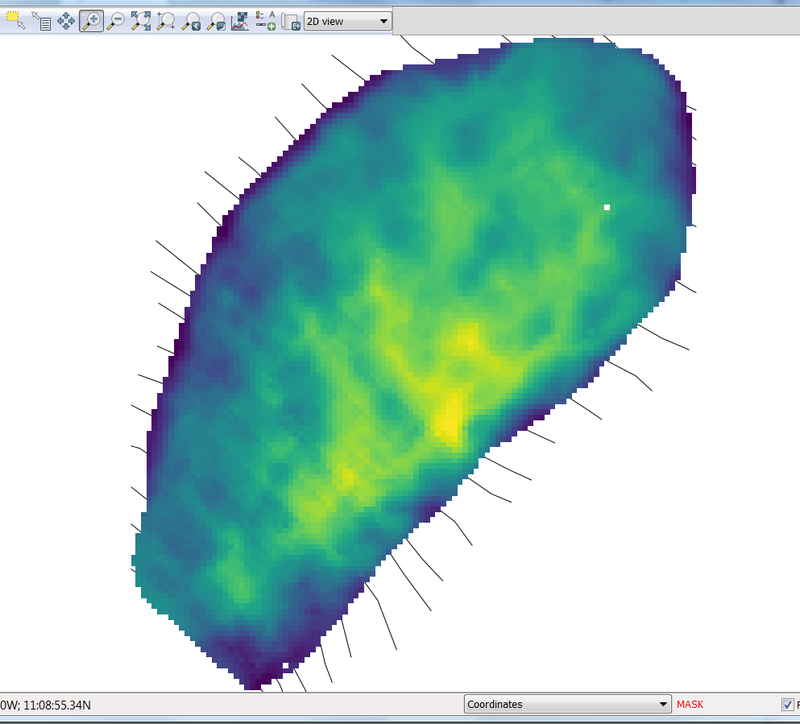 You can have the volume by using the r.sum of rasterDiff and multiplying the results by the cell size. @Gery provided a working example offshore Nicaragua and I attempted to calculate the volume with my own description above using GRASS and bit QGIS. 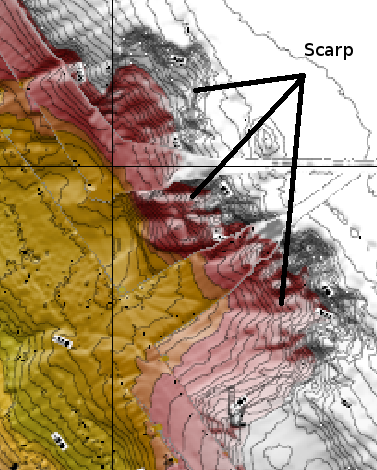 Digitalize the boundaries of the scarp to use it as a mask. 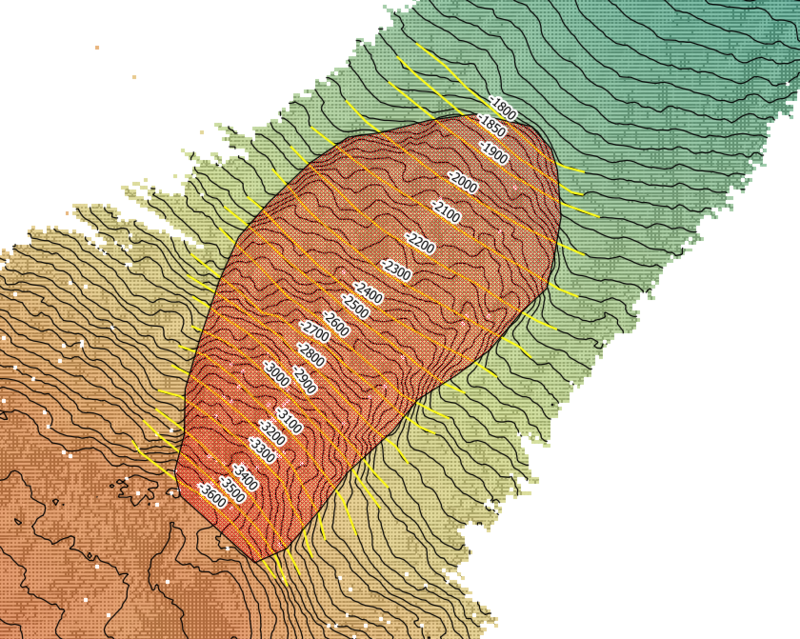 I am trying to calculate the volume of ore that has been excavated in an open-pit mine, using QGIS and GRASS. I used the same method suggested here except for the step 7. To calculate the volume of a raster, maybe you could use r.volume in GRASS. It does the same thing as explained here, but there are no intermediate results which are rounded up, so I think it is more precise! I used the two methods to compare the results. I found that there could be tens of meters of difference up to ten-thousands of meters of difference, depending on how you round your results. So maybe it is worth using r.volume instead. Not the answer you're looking for? Browse other questions tagged qgis grass grass-7.0 volume gmt or ask your own question. 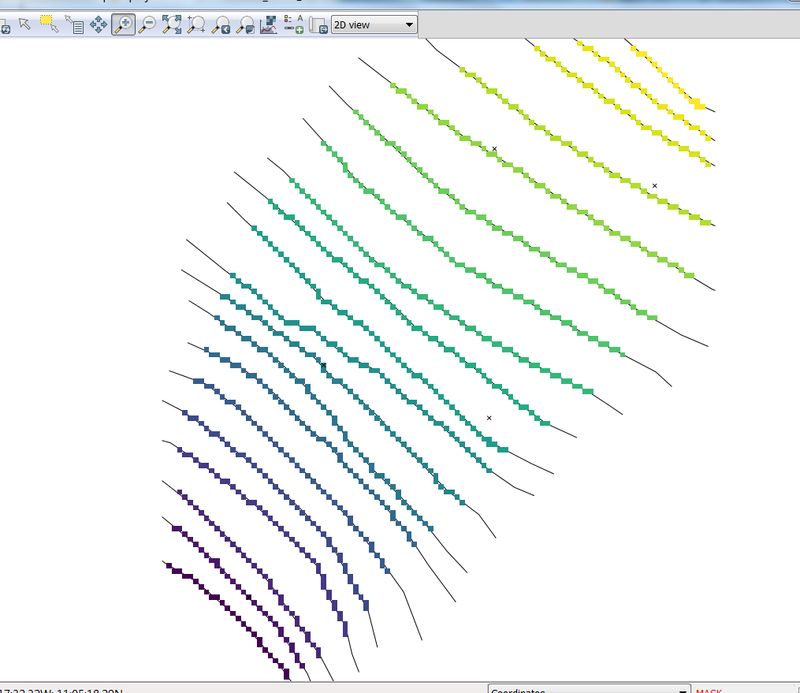 How to read netCDF raster data in GRASS or QGIS? 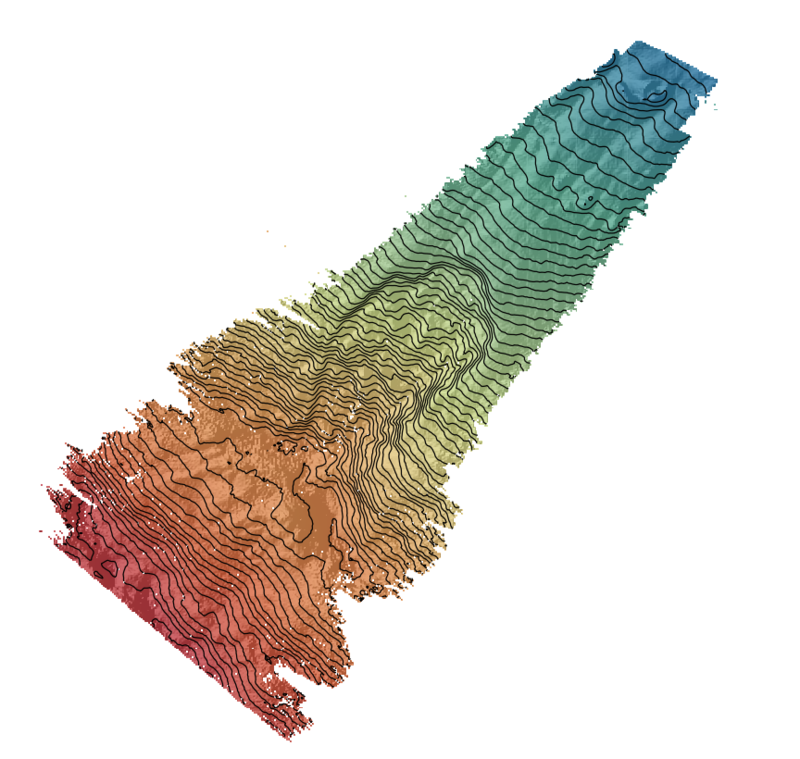 How calculate pixel by pixel the mode (statistic) of multiple rasters (geotiff)?